The following recipe makes 8 samosas. • 4 large filo pastry sheets. Frozen is best but allow the sheets to defrost in the fridge for about an hour before using. 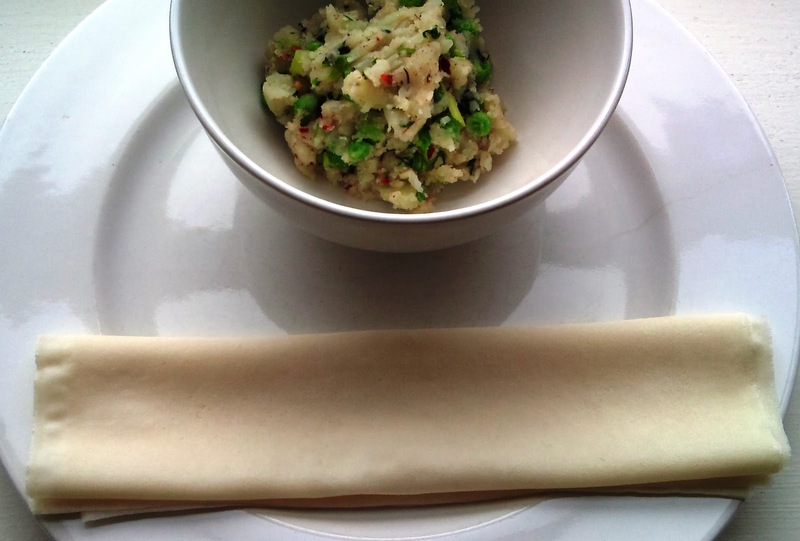 Gently mash the potatoes with a fork and add the peas, spring onion and chopped coriander and stir to combine. Add the seasonings and stir again. 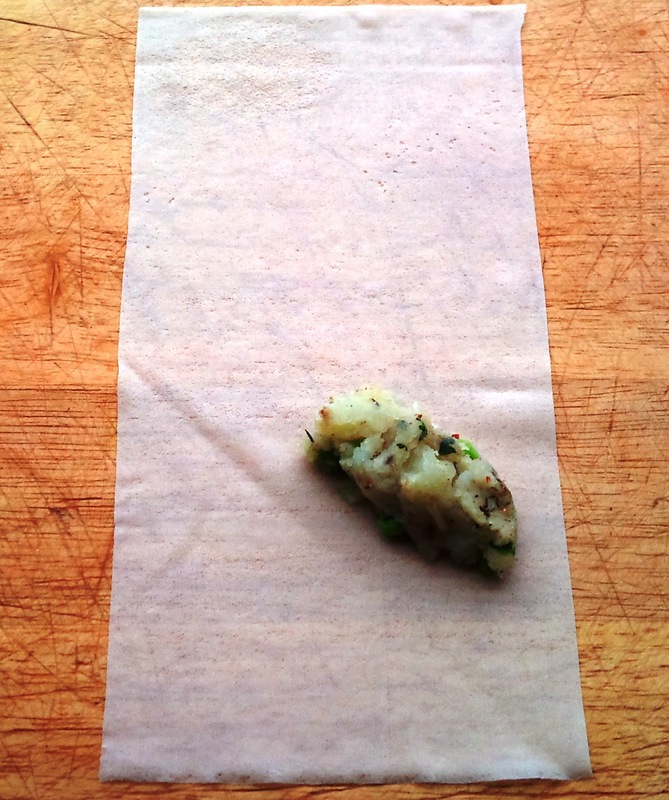 The potato should be completely cooled before using. To assemble the samosas, take the filo pastry from the pack and cover it in a clean dry tea towel to prevent it from drying out. 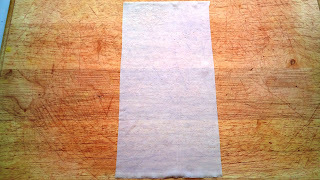 Place one sheet on a clean work surface and cut in half so it forms two large rectangles. 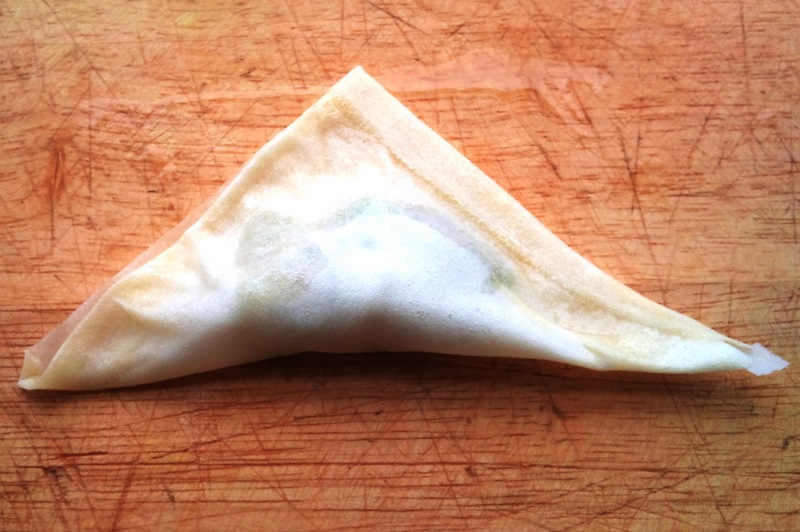 Each of these rectangles will make one samosa. Place one of the rectangles in the centre of the work surface. Return the other to the rest of the pastry under the cloth. 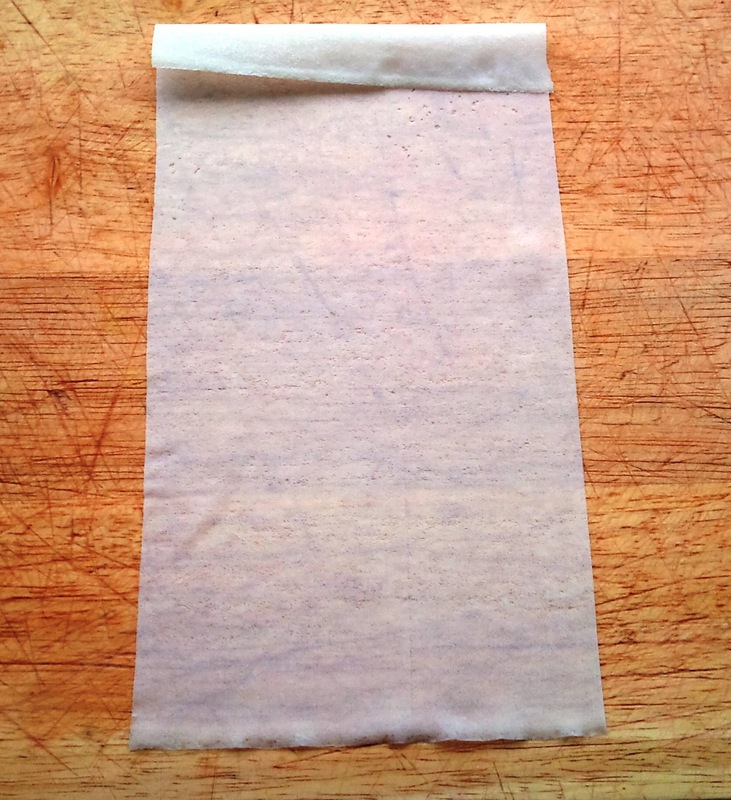 Fold a flap, approximately 1 inch in length at the top. 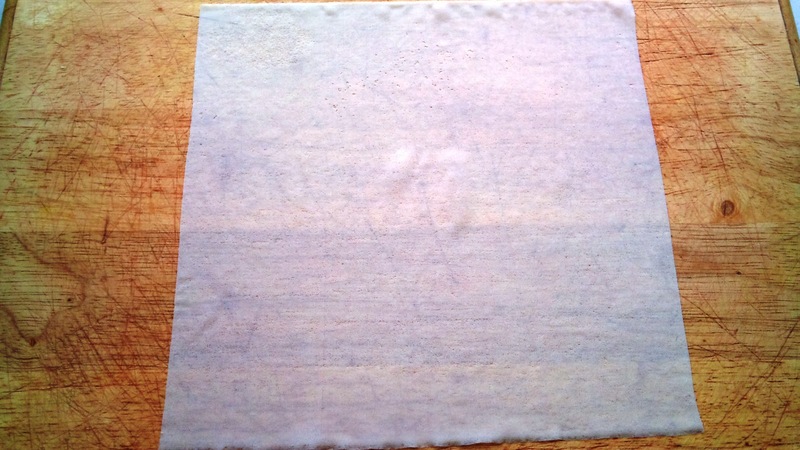 Using a brush, or your finger, paint the beaten egg around the other three edges of the rectangle, leaving the flap dry. 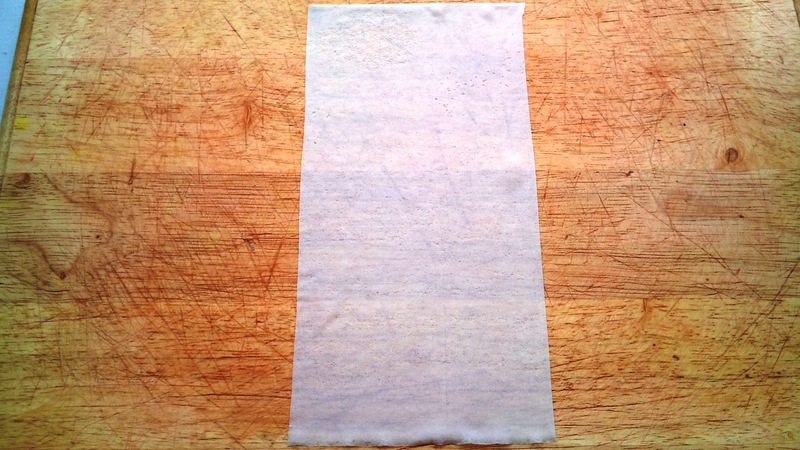 Next take approximately 2 heaped teaspoons of the potato mixture and place it in the bottom right of the rectangle as shown in the photo below. 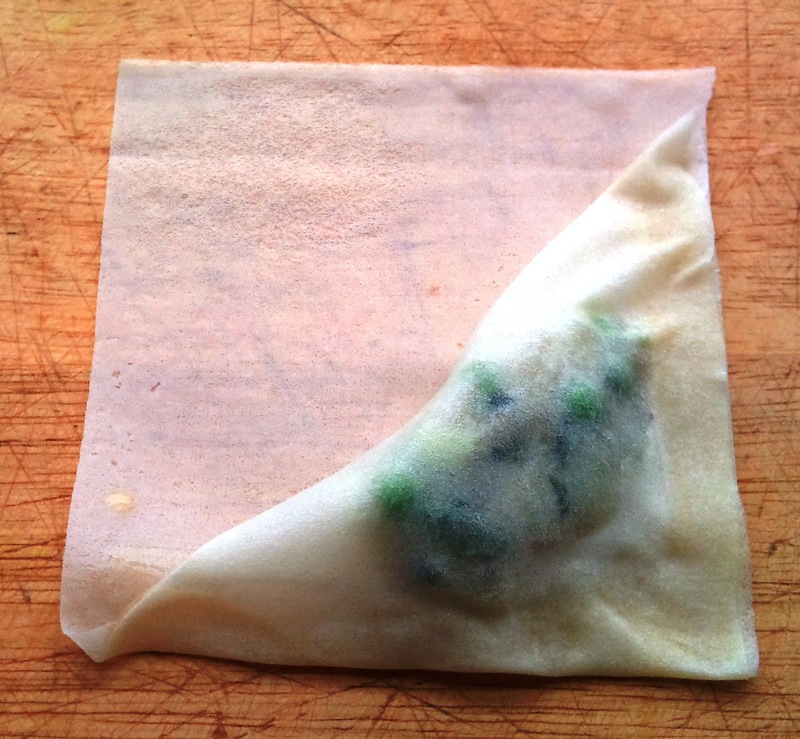 Next, fold the bottom corner over so it covers the filling. Press the filling down to remove any air and press down to make a panel along the side. Paint the edges again with the egg mixture and fold over. Re-paint the edge and fold over again. Finally fold the flap over and seal. 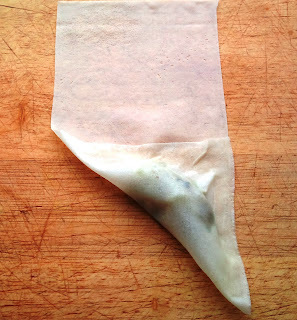 Transfer to a clean dry plate while you get on with the rest of the samosas. 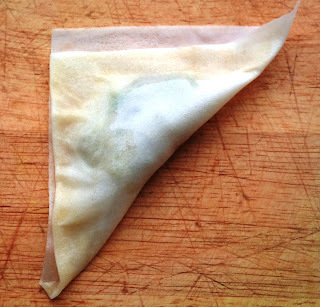 Cover the prepared samosas with a dry, clean tea towel to stop them from drying out. Continue until you have 8 samosas prepared. When you're ready to bake them. Paint each of them with the egg mixture so they colour nicely when cooked. (Try to paint all sides, including the underneath). Turn the oven to 220°C. 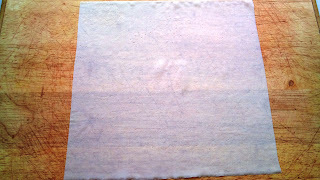 Spray a baking sheet lined with tin foil with the spray oil. 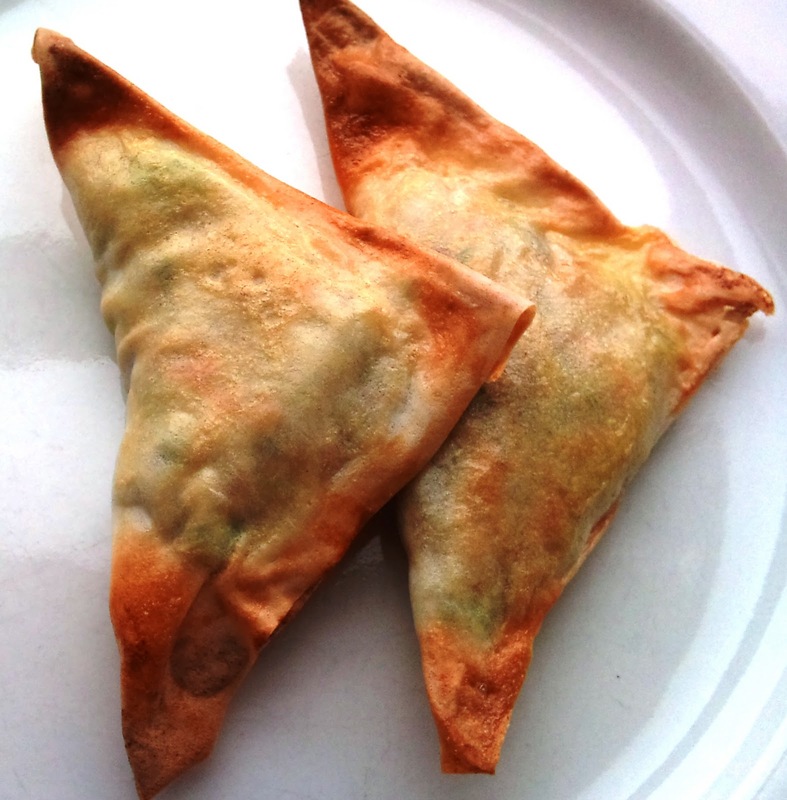 Arrange the samosas, seam side down, on the tray. Bake for 10 minutes. Carefully remove them from the oven and turn them over. If they are looking a little pale, you can paint more egg onto them. Return to the oven for a further 10 minutes. When done, remove from the oven and allow to cool slightly on kitchen paper. (Don't cover them as they will become soggy). Serve with a little low fat yoghurt with some chopped coriander mixed through it.